The efforts of Washington’s two Democratic senators could signal the first step in negotiations over the appointment of federal judges, including a stipulation that any candidate be vetted through a longstanding bipartisan selection committee. 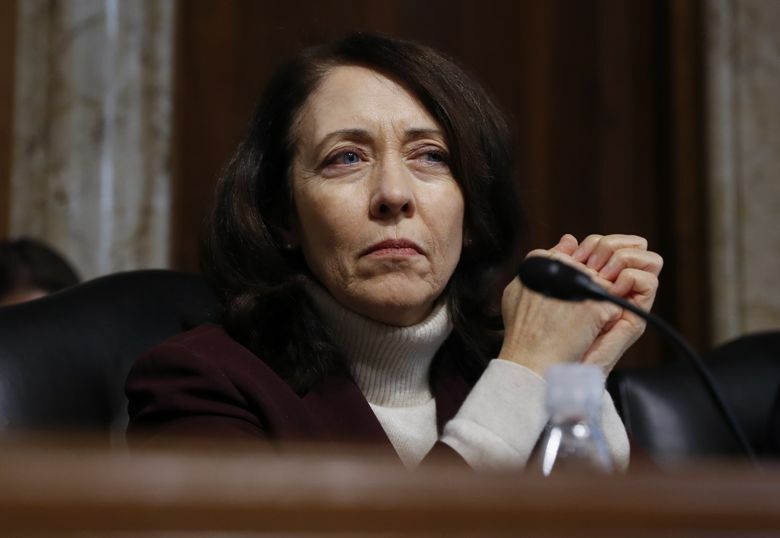 In an unusual move, Washington’s two Democratic senators are asking the Trump White House to consider five people for federal judgeships who were chosen by a bipartisan committee and submitted last year to the Obama administration. 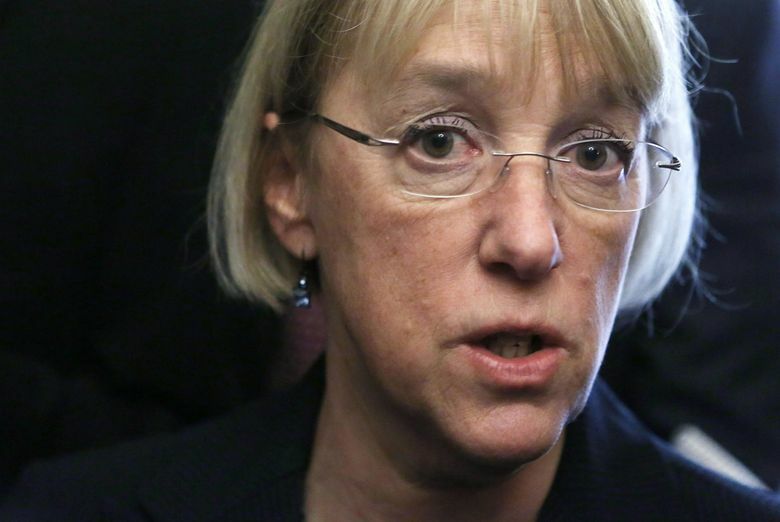 “On Wednesday I talked to White House Counsel Don McGahn about the urgent need to fill the vacancies on the U.S. District Court for the Western District of Washington, as well the importance and strong history of our state’s bipartisan judicial selection process,” Sen. Patty Murray said in a news release Friday. Three U.S. district judges for Western Washington — Robert Lasnik, Marsha Pechman and James Robart — took senior status last year, a form of semiretirement for the lifetime appointees that created vacancies. A judicial-selection committee set up in 2015 by Murray and Sen. Maria Cantwell, as well as Republican U.S. Rep. Dave Reichert, selected five people: King County Superior Court judges Beth Andrus and Roger Rogoff; assistant U.S. attorneys Tessa Gorman and Michael Diaz; and Kathleen O’Sullivan, a partner at the Seattle law firm Perkins Coie. Last April, President Barack Obama forwarded three of the names — Andrus, Diaz and O’Sullivan — to the Senate, where their confirmations languished in a presidential election year and appeared to be dead. Murray, in her statement, said she reminded McGahn that the bipartisan selection committee had screened candidates and come up with a list of five “highly qualified candidates” that were sent to the previous administration. It wasn’t immediately clear how receptive the White House is to the list of the five original candidates. The names of other potential candidates — some with credentials in conservative legal circles like The Federalist Society — have been circulating in the Seattle legal community for months. Among those reportedly being touted to the White House is Boeing senior counsel Carolyn Ladd, who works under J. Michael Luttig, Boeing executive vice president and general counsel. Luttig is a former federal appeals court judge and a leading conservative legal figure. Also being mentioned is Seattle attorney Harry Korrell, who served as lead trial counsel for the state Republican Party and Dino Rossi in the 2004 state gubernatorial election recount and court challenge in which Democrat Chris Gregoire prevailed. Korrell also represented Parents Involved in Community Schools for more than six years — without charge — in the group’s lawsuit against the Seattle Public Schools. The group, and the families it represented, believed the district’s “open choice” plan violated the Constitution by using race as a factor in assigning students to oversubscribed Seattle high schools. The U.S. Supreme Court in 2007 sided with Korrell and the parents’ group in a 5-4 decision. A third name to emerge is King County Superior Court Judge Sean P. O’Donnell, described as a favorite of Reichert and who also is said to be under consideration for U.S. attorney in Western Washington. Reichert is likely to be a key player in the selection process. His office didn’t respond Friday to a request for comment on the senators’ Friday announcement. The announcement could signal the first step in negotiations over various names, including a stipulation that any candidate be vetted through the bipartisan committee in order to preserve its role. Washington state has a 20-year practice of using a bipartisan committee to select federal judicial candidates, a tradition that has avoided conflict and is generally credited with producing a moderate, highly regarded federal bench. Murray and Cantwell hold some leverage because they can invoke a longstanding Senate option of blocking judicial nominations. The Trump administration also might want to court them in anticipation of future legislative battles. Information from The Seattle Times archives and The Associated Press is included in this story. Steve Miletich: 206-464-3302 or smiletich@seattletimes.com On Twitter @stevemiletich.